Learning a new language is an exciting but sometimes challenging process. One of the most important first steps when studying a new language is to learn that language’s grammar. Like any other language, the Hindi language has its own unique grammatical structure and rules. The best way to learn Hindi grammar is to start with the basics and build from there. If you’re looking for an easy way to learn Hindi grammar, this article will lay out some of the the basic rules and some Hindi vocabulary that you can use to start putting together short sentences. There is one other pronoun that isn’t used in English, but is sometimes used in Hindi: “thou”. This word translates to “aap”. This word is typically used in more formal conversation. These are your basic pronouns that refer to yourself or other people. As you can see, the Hindi pronouns are quite short and easy to remember. As you can see, object pronouns are based on simple variations of each other. They too are quite short and easy to remember, so keeping them in mind as you start making complete Hindi sentences is one easy way to learn Hindi grammar. “Iska” means “his”, “her”, or “its”. Again, there are some similarities between each of these words, which makes them easier to remember. Continue practicing your pronouns and your possessive words and you’ll be one step ahead as you continue to learn the Hindi language. Before we begin putting short sentences together, let’s look at some common adjectives in the Hindi language. Just as in English, adjectives in Hindi are used to describe people or things. These are short, easy-to-remember adjectives that you can practice before you start incorporating them into sentences. Obviously there are many more adjectives in the Hindi language, but these are some of the most common ones that you will encounter as you learn the language. “Main chlta hoon” means “I walk”. “Main chl rha hoon” means “I am walking”. In these examples, “chl” (walk) is the verb. As you can see, adding “ta” to the verb makes it simple present tense, and adding “rha” makes it continuous present tense. Here, the verb is “kha”, which is Hindi for “eat”. If we add “ta” to the verb, we will make a simple present tense sentence: “main khata hoon” means “I eat”. If we add “rha” to our verb, we get “main kha rha hoon”, which means “I am eating”. Simple past tense refers to things you did in the past (“I read the book”), while past continuous tense refers to what you were continuously doing (“I was reading the book”). Similar to continuous present tense, continuous past tense sentences will almost always have the word “was” in it. And just as in present tense, we will add words to the verbs to establish that we are referring to past tense. “Maine kitaab pdhi”, which means “I read the book”. “Main kitab padh rha tha” (“I was reading the book”). You can see the use of the word “rha” again in continuous past tense, along with “tha”. “Rha” is used for any continuous tense, and “tha” is always used in past continuous sense. Refers to things that will happen or that you will be doing in the future (“I will read the book”). To say “I will read the book” in Hindi, you would say “main kitaab padhunga”. Now, let’s make the sentence future continuous (“I will be reading the book”). In Hindi, this sentence would be “main kitaab pdh rha hounga”. You’ll notice the word “rha” again, because this is a continuous tense. Remember, the word “rha” will always be used in any continuous tense, whether it is past, present, or future. By using these basic rules of Hindi grammar, you can begin putting together many different forms of sentences. 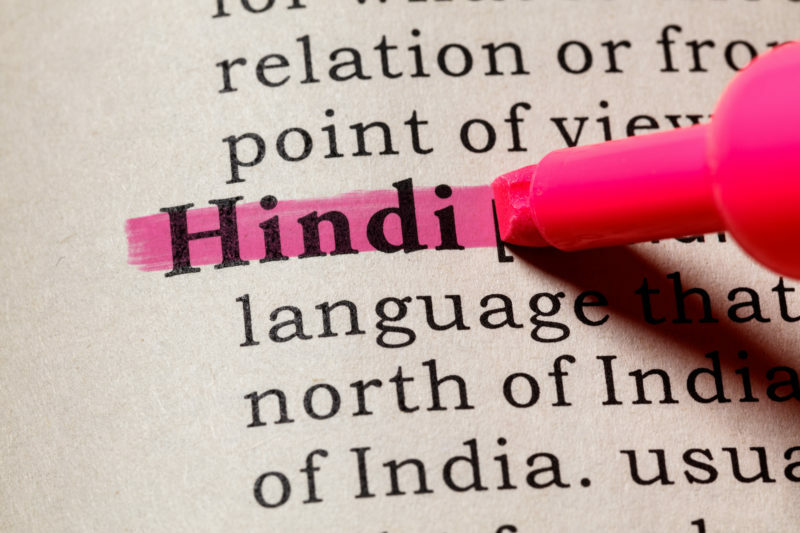 The Hindi language may seem confusing at first, but with some study and practice you’ll quickly understand how the grammar of the language works and how to put together virtually any sentence you want to say. The best way to learn Hindi grammar is to keep practicing these basic rules and then put them into practice by creating your own short, simple sentences.